The 40" Ebony Single Bathroom Vanity features beautiful spiral columns, a detailed kickplate, and a curved face that gives it a lot of character. Aside from its strong aesthetic appeel, it provides two drawers for storage. The imperial beige marble top and backsplash provide a lovely contrast while offering room for your bathroom routines. 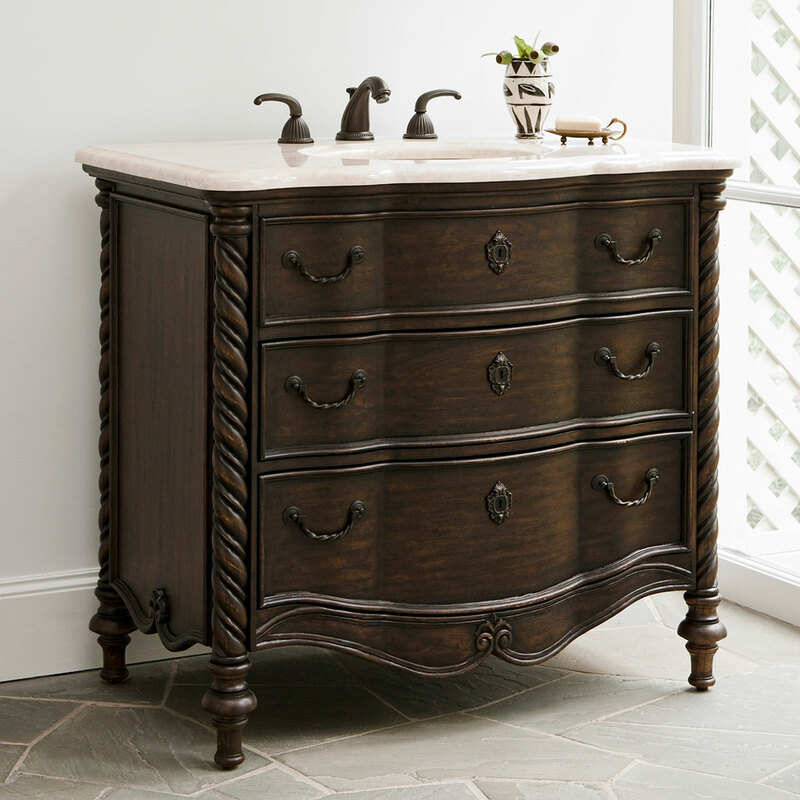 With its rich details and dark finish, this vanity makes a great focal point for any bathroom. Faucet options are available. Includes Balsa porcelain sink.